There are many different ways to catch fish. From offshore trolling to inshore sight casting, however somewhere in the middle lies the most addictive of all, the offshore bottom fishing. 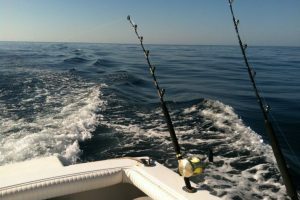 When referring to offshore bottom fishing, we usually talk about fishing baits on the bottom 20 or more miles offshore in waters of 50 to 600 feet deep. The most thrilling part of this fishery is that you never know what or how big the fish will be. When you make a drop, you may come up with a half-pound sea bass or be pinned to a rail by a 30-pound grouper. Also, these fish are not only very fun to catch, but many bottom fish catch makes for great table fare. Bottom fishing refers to the most common method of fishing techniques, used to catch fish near the seafloor. This method may seem like a lazy way to catch fish, but it requires maximum drift and anchoring tactics. Large predatory fish such as halibut, grouper and the red snapper are found by buoys, reefs and the wrecks. 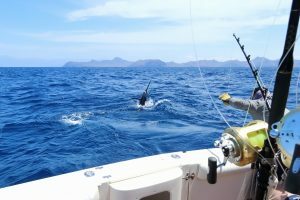 The main objective of bottom fishing is to take the bait to the seabed and present it in an attractive way to the fish. The fishing line is weighted by a lead sinker that is followed by bait and hook. The sinker is used to get the bait to the seabed quickly. Offshore bottom fishing is very popular off of the coast of Florida. From 5 to 65 miles you can target a variety of fish. From Black Sea Bass and Weakfish (summer trout) on the nearshore reefs to different types of snapper and grouper, amberjack, cobia, and triggerfish and more. Traditional bottom fishing is done using cut bait on a multiple hook “chicken rig”, or a single large cut or live bait on a Carolina or fish finder rig. Simply drift, anchor, or power drift over some structure and try to fish as a straight up and down as much as possible. It is a good idea to keep a flat line or 2 from the back of the boat for surface bites that you may encounter. Always have a jig or a live bait rod ready in case a prying cobia swims up behind the boat. Jigging with metal vertical jigs, bucktails, or plastic baits can be very effective, less cluttered and will allow you to cover more water. Your target species may include: snapper, grouper, tile fish, halibut, and the occasional cobia or jack. There are a lot of other fish out there, but we will focus on these selected groups. Snappers include red, vermilion, lane and gray snapper. 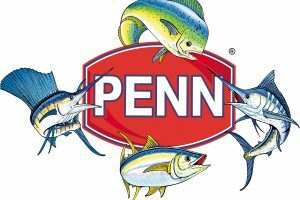 These fish are excellent for eating and fun to catch. 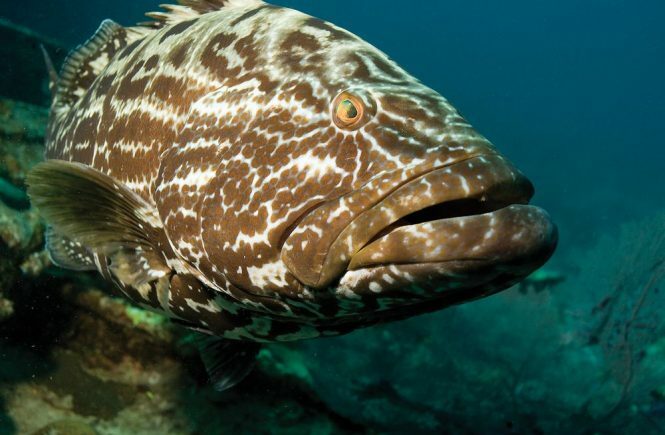 The Groupers include black, red, gag and scamp grouper. These are also great eating fish and are noted for their explosive bites and strong digs to the bottom. If you encounter jacks they will include almaco, crevalle, and amberjack. Jacks are edible, but the almaco jack is worth taking home. Jacks are some of the best fighting fish in the ocean. 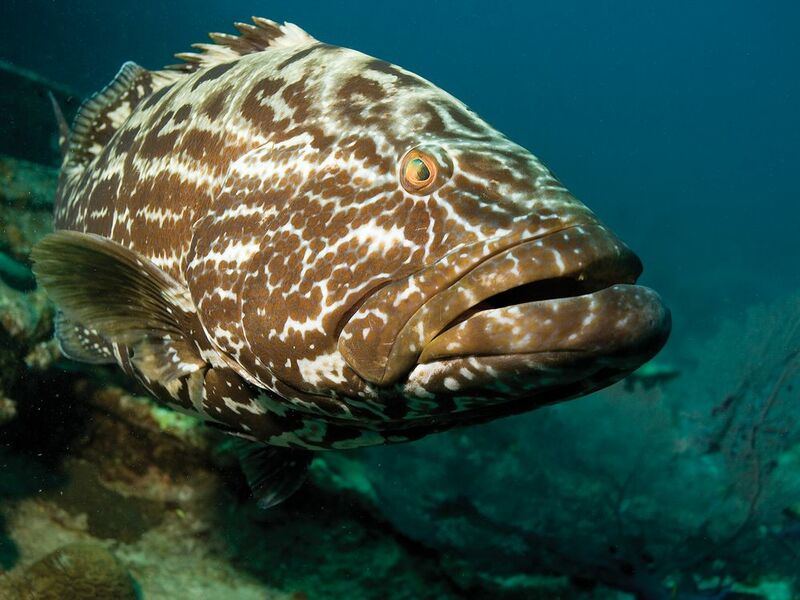 If you’re looking for something big to drag on then look no further than the Jack family.The Grouper is usually caught using a bottom fishing technique called the fish finder rig. 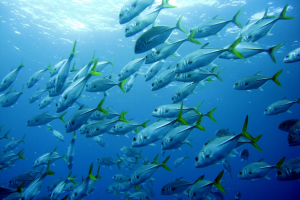 These fish prefer to go unnoticed and ambush its prey, a unique behavior pattern that makes them more susceptible to sports fishermen. The halibut is a flat fish with a dark brown hued top and an off-white belly. When bottom fishing for Halibuts you should use a good sinker to let your bait sink to the bottom. Once the halibut takes the bait you should not pull the line because you will lose the fish. Catching a fierce red snapper is like taken up as a challenge by a lot of sports fishermen. When fishing for red snappers ensure to use a heavy sinker that will withstand the strong currents. 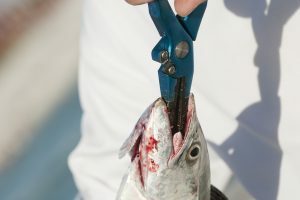 Make sure to reel it fast when the red snapper bites the bait to prevent it from running off to cover or from cutting the line. 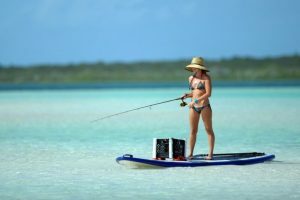 Let’s enter into the heart of this discussion and take a look at the various offshore bottom fishing techniques. I’ve divided this section into two categories; drift or anchor fishing and dead bait, live bait or jig fishing. You will have to decide if you are going to drop the hook and fish on anchor or drift. Anchoring can be very effective when the fish are concentrated in a small area, especially if you use chum to draw them to your boat. Personally, I general drift fish, especially when fish are spread over a large area. If the wind and the current are light drift fishing can be as easy as taking the boat out of gear and dead drifting in a particular area. This fishing style becomes more difficult when the wind and currents accelerate. To effectively drift in these circumstances you can choose the power drift (use the motors to help you) or put out a sea anchor. Once you set the anchor or drift, you have to decide if you are going to try dead bait, live bait or use lures. The dead bait is easier for most people because you simply buy the bait (usually Spanish sardines, mullet, menhaden or cigar minnows) from the tackle store and you are good to go. Rigging is easy; simply use a Carolina rig with a leader of 2-4 feet. Dead baiting can be very effective from anchor or when you are making a very slow drift. The key to using the dead bait is to allow the bait to lay flat on the bottom, as it naturally would when dead. Live bait requires more time and effort to catch and keeping the bait, but it can be deadly effective. Most of the live bait can be caught using number 6 – 8 Sabiki rigs and kept alive in a good recirculating live well. One reason I prefer to use live bait when drift fishing is because the bait is pulled over on the fish (instead of lying on the bottom) and usually resulting in a strike. The last type of bottom fishing is the use of jigs. There are many different types of jigs that we use depending on the type of fish you are targeting. For big fish like amberjacks, cobia, grouper and red snapper I make use of large buck tail jigs, buck tails with bait and butterfly jigs. For small fish like vermilion snapper and sea bass a squid rig works well. The following are some bottoms fishing organizational tips to make your offshore fishing experience go smoother. From what I experience fishing on my boat or working for other boats, is that the organization of tackle really makes the day to go smoother. Keep in mind, the longer your lines are in the water, the better your chances of catching more and larger fish. Offshore bottom fishing is similar to almost all other fishing, it is seasonal. 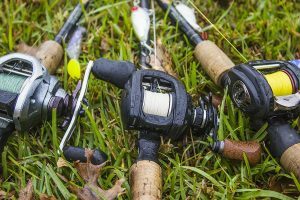 Undoubtedly, the best times of the year to go fishing are when you can, but the better catch of bottom fish occurs during the cooler months. What happens during the summer months is that the bottom fish get more spread out and of course there is much more down there for bigger fish to eat, so they are less likely to chase your bait. During the summer months all of the smaller baitfish has hatched and when this happens, the ocean is covered up with school after school of small fishes for the bigger ones to feed on. What all this means is that you will have to work a little harder to find nice snappers and groupers and you generally will not find large concentrations as you do during the colder months. For those with boats that have a long range, 50 to 60 miles out and back, you can still do well on bottom fish, because the larger concentrations have moved out at least that far during the warmer months. For those that have smaller boats that just do not feel comfortable with running 60 miles out, you are going to have to do the best you can at the closer in spots. Live baits are effective, but synthetic baits offer many advantages. His go-to jig for deep water is the 7- ounce Darter jig. Darter jigs can be very effective, but you have to experiment with them. It is best to fire one down and try many jigging actions until you figure out how the fish want it. Sometimes they want long and sharp jigs upward, sometimes they look for short, erratic jigs. You just have to feel it out. Using any kind of heavy jig is an excellent way to target specific types. 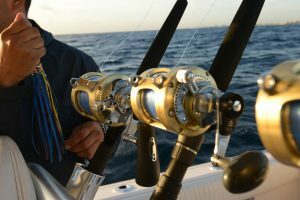 For example, if you are looking for snapper and amberjack, use the standard jigging techniques higher in the water column. But because of their shape, jigs sink fast enough to overtake Snappers, amberjacks and pesky bait-pickers if you are targeting groupers. When the fish is hook on a lure, the fight is immediately on, which gives you a better chance of keeping it out of structure. On live-baits rig, your sinker sitting on the bottom, and however long your leader is, that is the amount of feet you automatically gives the fish. It may not be much, but it’s often enough time for the fish to win. 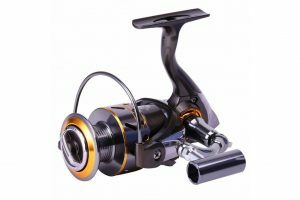 In general, most of the bottom fishing gear will be relatively stout. I usually use 20 to 50 pounds rods, reels and braided lines. Braided line is very important in bottom fishing because it allows you to feel a bite, but also has zero stretch helping you keep fish under control as they dig hard for the bottom. For most fishing applications, I use 40 to 80 pounds leader and I constantly use 4 / 0-6 / 0 circle hooks with natural bait. In addition, I also carry a variety of barrel swivels, 2-8 ounce egg sinkers, sabiki rigs, jigs, squid rigs and chicken rigs. There are many circles hook on the market. For bottom fish, be sure to use one that depicts a complete circle. A point position 90 degrees to the shank dramatically improves hookups. Heavy –duty rods are a necessity. The rods should be able to handle 100 pounds braid without any problem and put a lot of heat on the fish. For this kind of fishing, maintain your drag locked down at all times. You do not want to give these fish an inch. Use heavy duty leaders – 125 pounds, test minimum. Make the fish go lighter. Also, check your leader before each drop to ensure it’s free of any abrasions or nicks. It’s an embarrassment to drop, get a bite and lose the fish due to a sub-par leader. When using circle hooks, get two or three sizes larger than you would if you were using a J hook.